You probably have been promoted to buy this new “Copy The Millionaire – Six Steps To Freedom” system of Jeff Lerner who promises to teach you the three methods that made him millions and got him his freedom. Join me in this detailed Copy The Millionaire & 6 Steps To Freedom Review in order to find out if this is a legit program or just another scam. I know how tempting it feels to want to try any program that promises you to make money online with ease and little to no effort. I have been in your shoes in the past! But I also know that in this industry of Making Money Online business opportunities, there are many scams and sometimes, low quality products that are hyped up and are being sold either for high prices or even for low prices that are just there to get you inside the door for not much value and then, they start surprising you with continuous up-sells and downsells, other “recommended” high ticket programs and expensive tools, and still, don’t deliver what they promised you in their sales pages and videos. This why I’m writing this review of Jeff Lerner’s Copy The Millionaire & Six Steps To Freedom program in order to help you know what this program is all about and how it really works. And I know that you could make some money with this program, but NOT necessarily like the results you have heard about in the sales video, and most important, you might not be able to make any money without spending extra hundreds of dollars in addition to the initial $39 in the form of up-sells, external tools and paid advertising traffic. I will show you below why I say what I’m saying and why this program might not be the best option to choose even if it was legit, and most important, I will guide you to find the right place & alternative to the 6 Steps To Freedom & Copy The Millionaire that will teach you the Best Way Of Making Money Online which is also an Evergreen one. What Is 6 Steps To Freedom & What Is Copy The Millionaire? In a nutshell: Copy The Millionaire & 6 Steps To Freedom are the same! The original program is called 6 Steps To Freedom, but it is being advertised with the new name and new website as Copy The Millionaire. This happened previously and it was being promoted as “The Freedom Shortcut” at some point. But all lead to the same checkout page where you actually buy the training program that is called “6 Steps To Freedom”. The video doesn’t explicitly say what is inside the program, but Jeff promises that you will learn the three methods that he used in order to generate millions of dollars online. And for big part of it, it seems that one of the same ways of making money with it is promoting the 6 Steps To Freedom program itself. Now when it comes to teaching you how to do affiliate marketing or how to sell digital downloads, then that’s great, even if it also included the opportunity to make money from promoting the program itself as an affiliate. But if it was really focused around the idea of promoting the 6 Steps To Freedom itself as the main method of making money with it, then that becomes more like and MLM model, which is unsustainable and doesn’t provide value. So, How Does The 6 Steps To Freedom (Copy The Millionaire) Really Work? As I mentioned above, the 6 Steps To Freedom is supposed to teach you mainly: How to do affiliate marketing, and how to make money with selling digital products that you don’t create by yourself. This is at least what is explained in the video. But when I did a little of research on other websites, I found that the program is more focused about promoting the 6 Steps To Freedom program itself as an affiliate, and not how to promote other products. And this is why some people see it as a Multi Level Marketing (MLM) scheme. But in my opinion, if the system teaches you how to bring different kinds of traffic to the offer you are promoting, then you can also use the same techniques you are learning here in order to promote other products. But still, the problem is that, even it teaches you how to bring traffic (mainly paid traffic) to what you promote, you still need to learn how to research the market, find products, learn how to write money making reviews for products, and many other skills in order to promote other products and programs as an affiliate. This is the main downfall in my opinion (provided that the information I found in the research is accurate). 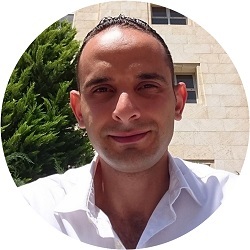 While if you join the platform I recommend in my article, the best affiliate marketing training program, then you can learn all of what you need in order to become a successful affiliate marketer and promote any product in any niche you choose. Another downfall of the 6 Steps To Freedom is that they don’t disclose to you since the beginning that there are up-sells and external tools that you still need to pay for in order to be able to make money with what they teach you. And they all have up-sells and need you to pay for external tools in order to apply what they teach you, but the problem is that they don’t disclose that before you pay the initial payment, which is something I don’t like. While at the alternative I recommend, everything is clear since the beginning, no surprises, unnecessary up-sells, or hidden costs. Even better, in addition to the best training on affiliate marketing, they provide you with all the tools and support you need at one place, for the same original cost, no additional costs or surprises. As I disclosed earlier, I didn’t purchase the program due to the issue I found with the refund policy described below, so, I don’t know how “amazing” their online community is, or if there’s really a LIVE Telephone Mentoring Session for the same initial payment of $39. But I can tell that, in addition to the external tools you need to pay for, there are up-sells that you will be offered down the road that are not disclosed now, they will get you inside the door by paying the initial $39 payment, and then, they will start telling you about the up-sells. That’s why they are not my recommended place to learn affiliate marketing. The following screenshot is from Maxbounty, which is the affiliate network where the 6 Steps To Freedom is listed for affiliates to promote it. You can see that each affiliate gets $60 for each new customer they bring to the program, which is more than what the customer (you) pay in the first place ($39). How does that work?! Do is it mean that the founders of Copy The Millionaire or 6 Steps To Freedom are losing money?! Of course not, they pay this amount of money because they know that they will get more money from the clients, and not only the announced $39. But they don’t mention that you still need to buy the up-sells because it is easier for them to get you inside the door if they don’t mentioned them right from the start. And as I mentioned, you still need to pay for external tools, and mostly, the PAID Traffic that you will need to bring to the offer you are promoted. At least, Jeff Lerner is a real person, unlike many other programs that mention a fictional name of the founder. Jeff tells you that you need to do real effort in order to make money, and not just set and relax like some scammers tell you. It is mainly about affiliate marketing, which is my favorite way of making money online. This guy claims to have made $7,200 in the first seven days after joining the 6 Steps To Freedom, which is unrealistic. You can’t make this number during the first week online, neither with affiliate marketing nor with any other method. Sorry! Even if you do so, these might not be profit as you will rely on PAID traffic, which might even take most or even more than this amount of money before you become profitable! The good thing is that, at least, there is a disclaimer that these are Exceptional results and cannot be achieved by the average person. In the video, Jeff says that there’s an Unconditional 30-Day Money Back Guarantee. .
That’s a reason I don’t trust to invest any money in this program, if you want to try it, just be aware that you better consider the 7 days and not the 30 days in order to protect yourself. There’s nothing wrong with having up-sells, but the problem is that they don’t mention them in the beginning. They make you believe that you need to only pay $39 in order to get you in, and then, they start offering you the upsells. This is in addition to the external tools that you still need to pay for and the paid traffic you will need to bring. While at my recommended platform, you don’t get offered unnecessarry up-sells and you don’t need to pay for external tools as everything is already included in the membership, and they teach you mainly how to bring FREE traffic. And even better, you can try my recommended platform for FREE before you pay anything. 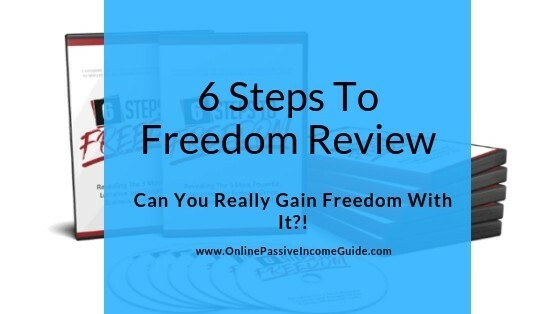 As I explained earlier, I found from the research I did that many others claim that the 6 Steps To Freedom is focusing mainly on promoting the product itself as an affiliate, which becomes more like an MLM. And this makes it unsustainable, unlike the one in my Ultimate Make Money Online Guide in the last section below. Yes you can use what they teach you in order to promote other products or programs, but you still need to learn some other skills such as market and product research, keyword research, writing reviews and articles, driving free traffic, …etc. While at my recommended platform, you learn all what you need and you get the ability to promote any product or program in any niche. Conclusion – Is Copy The Millionaire – 6 Steps To Freedom A Scam Or Legit? It’s controversial to say that Copy The Millionaire – the 6 Steps To Freedom is a scam or not. At one hand, you get a training after you pay the money, which doesn’t make it a scam. On the other hand, it seems that it is a bit centered about making money from bringing others to purchase the program itself, which becomes more like a multi level marketing to some extent. 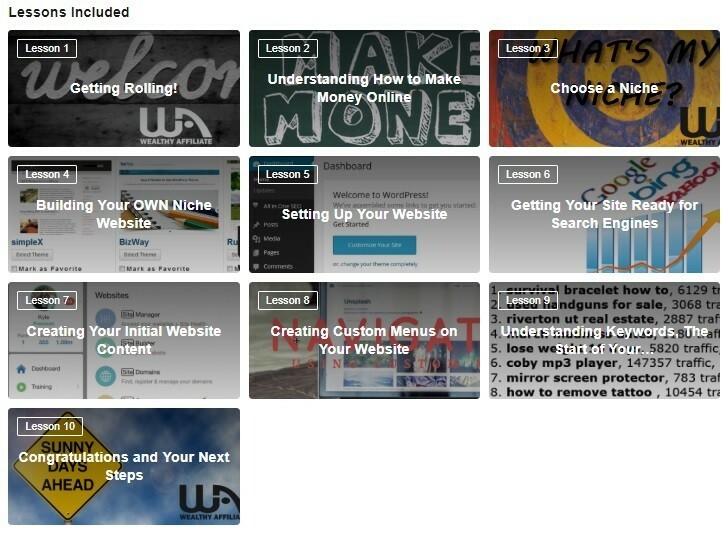 But again, even if you learn some skills such as paid advertising, and although you can use these skills to promote other products as an affiliate, but due to the fact that there are hidden costs (up-sells, tools, paid traffic) that are not mentioned right from the start, this makes me NOT recommend joining the 6 Steps To Freedom as my favorite option to learn affiliate marketing. This is in addition to the issue regarding the money back guarantee I explained above. An EVERGREEN Alternative To Copy The Millionaire – 6 Steps To Freedom? As I mentioned earlier, Copy The Millionaire – 6 Steps To Freedom is supposed to mainly teach you how to do affiliate marketing, but it seems to rely mainly on paid traffic methods, and it focuses to some extent on promoting the program itself to others, which makes it a bit unsustainable. This is in addition to the hidden up-sells & cost for external tools and for the paid traffic as I explained above. This is why I have another, better and more evergreen alternative to learn affiliate marketing the RIGHT WAY that I’m recommending, which is the same place I learned this great method of making money and it is the place where you can find all the necessary training, support AND tools in one place for NO EXTRA COST, No Up-Sells and No External Tools. And even better, they have a FREE plan that you can join to try it, NO Credit Card Required! This platform is really the world’s leading platform when it comes to teaching affiliate marketing the right way through building your authority and brand through your own website (Zero Coding and Zero Prior Experience required!). This is the RIGHT WAY to start doing affiliate marketing, because having your own website and online presence will help make you a brand and authority and will make people trust you more and buy through your recommendations. Remember why you came to this review in the first place! And the main method of driving traffic to what you are promoting is through FREE traffic, which will make it even a lot less risky for you. Exactly like when you found this very review you are reading now! And more important is that you can use what you learn in order to promote any product in any niche. So, if you want to learn the method I recommend, then you can join wealthy affiliate and try it even for FREE through my WA Review. No Credit Card Required. Zero Risk! So, go and take action now and stop wasting your time and money looking for the magical solutions that don’t exist! Click N’ Flip Review – Is It A Scam Or Legit? Affiliate Bots 2.0 Review 2019 – Is It Worth The Money?